Table bases with a large cast iron foot in a Black finish with a stylish column in Silver. Designed for use with table tops up to a maximum size of 1000mm x 700mm rectangular. Available from stock. 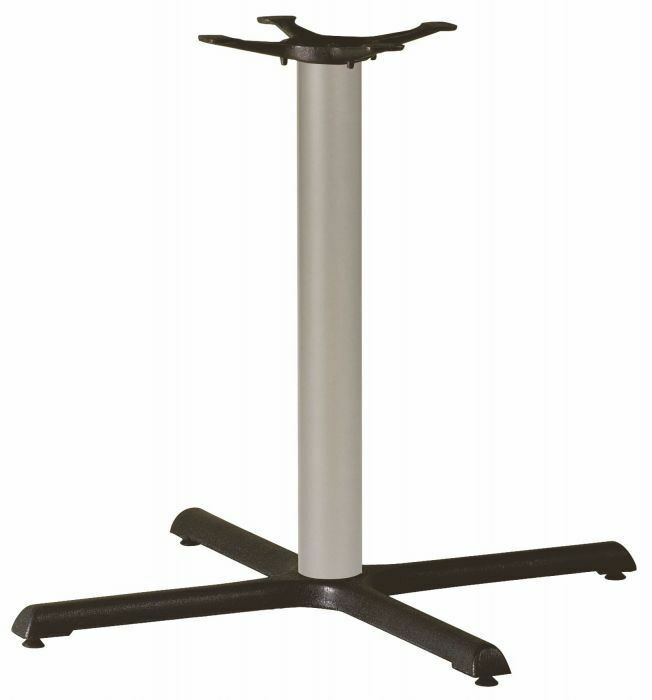 Extra large table base able to hold a maximum table top size of 1000mm x 700mm. This range of furniture is perfect for use within a commercial cafe environment. Held in stock for a reasonably quick delivery.